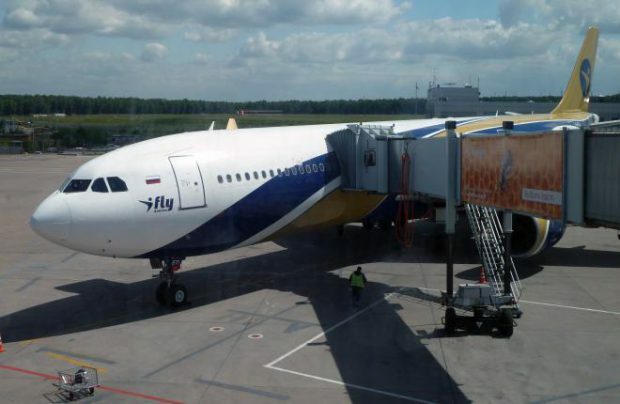 Russian charter airline iFly has taken action to demonstrate to Russian authorities it is capable to comply with the regulation and continue operation. The Moscow-based carrier had ferried an Airbus A330-300 to its base at Vnukovo Airport and is expecting a Boeing 757-200 to be delivered soon. The reason for urgent fleet expansion was a warning from the Federal Air Transport Agency (FATA) to cancel the carrier’s Air Operator Certificate (AOC) following an inspection, which revealed that the airline did not have sufficient number of aircraft to support its schedule. The A330-300 with tail number EI-FSP (MSN 096) is the second aircraft of the type in iFly’s fleet. It was previously operated by Portuguese charter airline Hi Fly. The aircraft seats 325 passengers – 12 in business, 32 in premium economy and 281 in economy class. “The aircraft can be operated on longer flights, it’s got a bit more range than the other A330 we operate,” iFly’s executive general director Ivan Burtin told Russian Aviation Insider. He explained, that the other aircraft is fitted with 387 seats in single class configuration. According to Burtin, the aircraft is intended for the carrier’s charter program to Chinese destinations. The airline has currently received approvals to fly routes from Moscow and St. Petersburg to Taiyuan, Nanchang and Chongqing, and from Moscow to Hangzhou. A Boeing 757-200 iFly is expecting is also “completely prepared to start commercial operations,” according to Burtin. “We have not yet ferried the aircraft to Russia. It was formerly operated by Thomas Cook. The aircraft has 235 seats in single class layout, and we have acquired it to develop a domestic tourism program jointly with Intourist (a Russian travel agent, part of Thomas Cook Group – Russian Aviation Insider). The aircraft will take tourists from Russian regions to holiday destinations, such as Sochi and Simferopol [in Russia],” Burtin explained. Both aircraft will start flying as soon as FATA adds them to iFly’s AOC. Thus, the airline has complied with the regulator’s demand to expand its fleet by August 1. FATA has got more issues with the carrier, including a concern about its financial standing. “We are set on resolving the situation with FATA in a constructive way. We’ve been granted time to bring everything into full compliance with the regulations,” Ivan Burtin commented.